Saddiq Indra Pablo Gonzalez, a long time Sufi practitioner and guide (sheraq), left this earthly world on October 7th, 2016. He passed away peacefully in the comfort of his Florida home, being surrounded by his wife Surapsari, son Angel, and daughter Lisa. Honoring Saddiq’s wish, part of his cremation remains was cast away in the ocean off Casey Key, FL where he would enjoy his daily swimming. 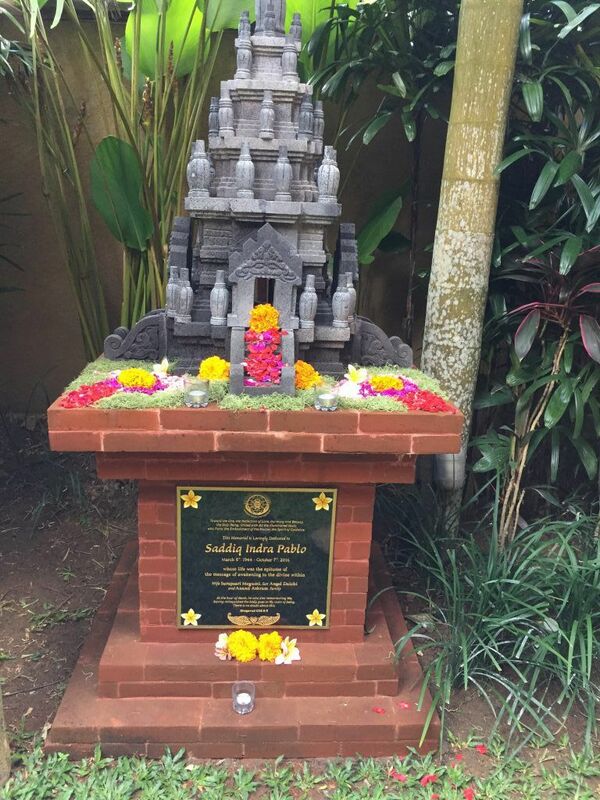 The rest was buried inside the memorial dedicated to Saddiq at the Anand Asharam in Ubud, Bali. 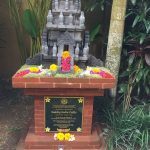 Anand Krishna, Saddiq’s dear friend and the most respected interfaith spiritual leader of Indonesia, appreciated Saddiq’s contribution to his ashram and built the memorial which was modeled after the Prambanan Hindu Temple in Java. It was Saddiq’s favorite temple. The last days of Saddiq’s life were candidly shared by his wife, Surapsari, at his memorial services at Anand Ashram and Rising Tide International in Sarasota, FL. The story of how Saddiq prepared himself for passing touched the hearts of many attendees at both the services. Among all of his great accomplishments, consciously living the last phase of his life was his best work and most profound contribution to fellow spiritual seekers. Saddiq was initiated into the Sufi path by Pir Vilayat Inayat Khan in the 1960s. He was an ardent student of Sufism and world religions. 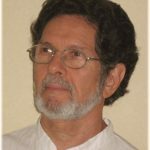 He was also a frequent facilitator for the Universal Worship and Dances of Universal Peace at Rising Tide International and The Abode of the Message in New Lebanon, NY. Saddiq was known for his innovative approach to both the services which was welcomed by many attendees as refreshing and energizing. Leading the Universal Worship was what Saddiq most cherished. He spent weeks to prepare for a service. Once he was assigned to lead UW on a certain date, he began to think of a theme of the service. It sometimes took him several days to receive an inspiration. Once he was certain of the theme, he explored it by reading holy texts, books, and articles while incorporating the theme into his daily one hour meditation. He took notes of resonating words from those texts, which easily filled the half of a legal pad. This phase of preparation lasted usually one week. He allocated three days prior to the service to brown rice diet and silent retreat. He strongly believed that leading the service like UW was a privilege and sacred task which should be taken seriously. He needed to purify his body and mind for the service. He always felt “spacey” after the three day purification diet and meditation. He finished off this preparation period by practicing Balinese warrior dance. It grounded him and firmed his presence in this earthly world. He did this dance ritual right before heading to the UW site. Anand Ashram welcomes visitors to Saddiq’s memorial. When I think of Saddiq the very first thing that I see is his big beautiful smile and those sparkling brown eyes. I remember him as always being ready to play and laugh and enjoy life, but at the same time also ready to be very serious and profoundly deep. We lived in the Santa Fe khanqah together back in the 1980’s – me, Saddiq, and the other 5 women in the house. He managed quite well with all of us, and was a big flirt, no doubt about it. We loved him and his flirtiness! From the outside it could have looked like Saddiq and the harem, except that we were much more like a Sufi nunnery with a brother monk, than a harem. 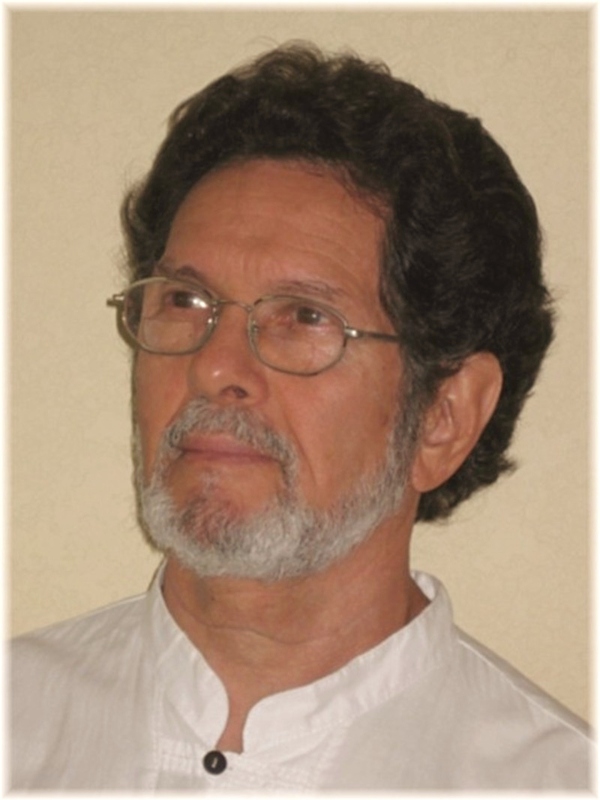 In between going on retreats with Pir Vilayat, he was always traveling to Pueto Rico, Dominical and the other Caribbean islands, in order to find the gorgeous amber and other jewelry that he brought back and sold for a living. He was our exotic, traveling, gypsy, dervish monk brother! I learned about the Conference of the Birds from Saddiq. I knew the story from reading it, but it never came alive until Saddiq told it. He really loved sharing that story in a most animated way. He was a master story teller, which I am sure flowed perfectly into his later interest and great ability to tell a story through the beauty of the Balinese dance and performance arts. He was so expressive, and had many different faces he would make that always brought a smile or a laugh out of us. The one thing he would always do in the most dervishy way was, whenever I would compliment him on something, he would get all wide-eyed and intense, and look at me from very close range, and then declare, “Do you see yourself??! !” What could you say back to that? He always wanted to remind me that we are mirrors for each other in our unfoldment of the divine qualities, and in the polishing of that mirror. One time he and I decided to travel together down from New Mexico to Mexico. Saddiq wanted to have a little travel trip to the West Coast and then learn to wind-surf on the Baja, and I was ready for a little vacation from my hospital nursing schedule. We first flew into Puerto Vallarta and planned to go to a beautiful, secluded, and (at that time) undeveloped pueblito that Saddiq had heard about, called Yalapa. We could only get there by boat, so we contracted a ride, and loaded into a simple open air skiff. On the way to the little town a huge storm blew in suddenly and from nowhere! It was really scary, and the boat owner said we would have to pull over to the shore “right now,” and spend the night. The place he pulled over was not a town, just a few families living on the coast, and mostly living at the subsistence level. They were not at all used to “touristas” there, and they stared at me and my blue eyes like I was from Mars. It could have been a really tricky situation, but through Saddiq’s positivism, kindness and charm, the residents opened up their doors to us, and we got to stay in a sweet but very rustic palapa over night. In the morning we were feed a delicious fruit, tortilla, and eggs breakfast before we all continued along with the journey. The last time I saw Saddiq was an unexpected delight – it was over 10 years ago and he danced for us at an Abode retreat lead by Taj, Blanch Fluer, and Gayan. It was so fun to see him again – he was very happy, married to his beautiful wife Surapsari, and together they had a beautiful son, Angel, and he loved being in Bali so much of the time. He was still close to his daughter Lisa. It was so wonderful and rather magical to watch him dancing and performing in his full Balinese regalia. Today (2/12/17) another friend informed me that Saddiq had died. He was one of the memorable characters from my first camps with Pir Vilayat. Over the years he shared stories about his travels and the merchandise he sold to many mureeds. When I was living at the Abode he and his family would rent a space in the schoolhouse for the summer and as part of his stay would perform the dances he had learned while traveling in SouthEast Asia. A true devotee of the Path. I only now found out about Saddiq’s passing – years later! – when by “chance” I was perusing this memorial site after having written something in honor of one of my German mureeds who passed this month. The last time I saw Saddiq was at the Abode during the same retreat which Taj, Gayan and Blanchefleur led as our extension of Sufi Retreats West.